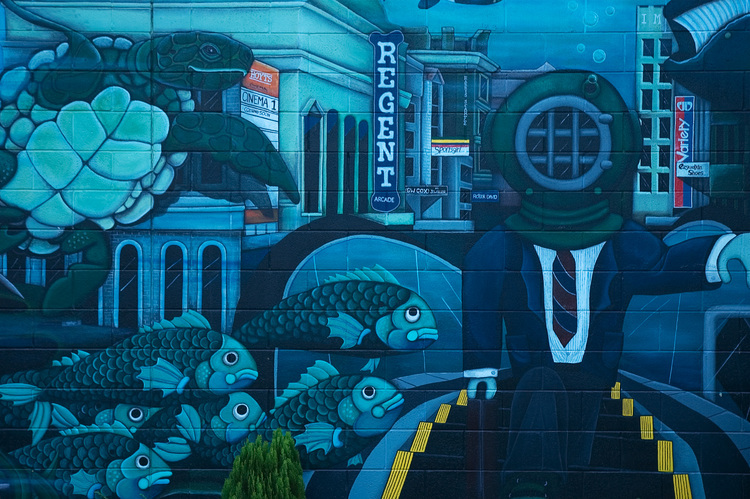 A mural depicting Adelaide's Rundle Mall, underwater. Seen on a building in the seaside suburb of Glenelg. Details: Nikon 18-70mm, 44mm, f/4.5, 1/13s, ISO 200, perspective corrected.